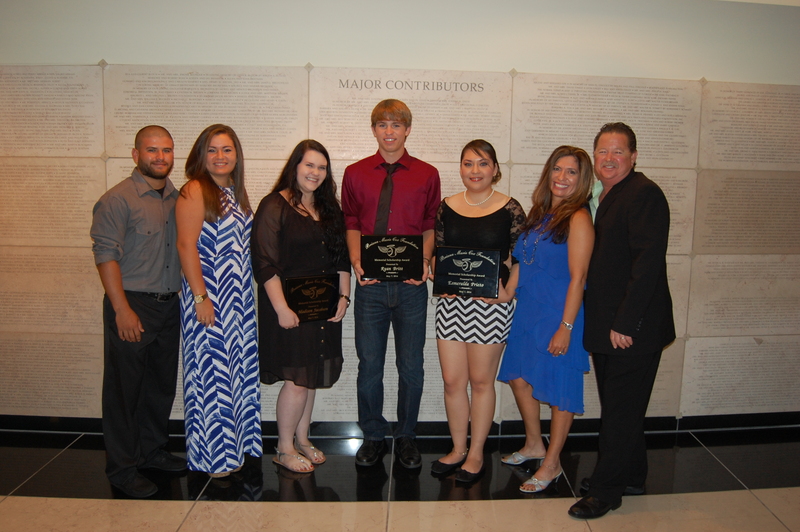 The 2014 Briana Marie Cox Foundation Memorial Scholarships were awarded Wednesday evening May 7th at the Kravis Center for the Performing Arts in West Palm Beach in conjunction with the Pathfinder Awards. Esmeralda Prieto (Pahokee Middle/Senior High School) took home first place and a $3,000 scholarship. Ryan Britt (Glades Day School), Madison Jacobson (West Boca Raton Community High School), and Rachel Ram (Martin County High School) were runners-up and received $2,000 each. Congratulations to all our winners!